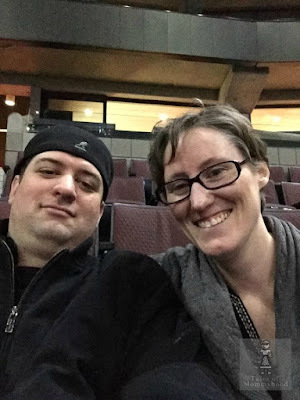 My family and I had the opportunity to see Walking With Dinosaurs - The Arena Spectacular when it was live in Ottawa last week. The kids were so excited (and having met Baby T the week before it really got them hyped up for the show). Mr. J was on the edge of his seat, peering over the railing for the majority of the show. He loved seeing the dinosaurs on stage. The show is narrated by Huxley, a paleontologist. He takes the audience on a trip through the Triassic, Jurassic and Cretaceous periods. 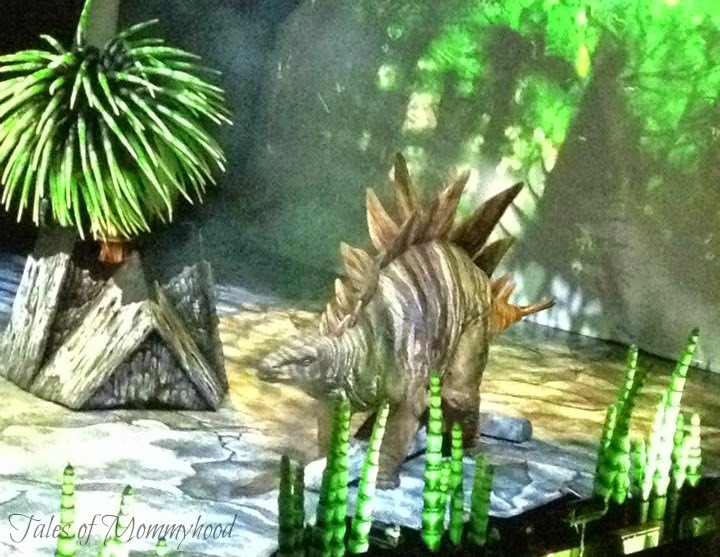 As you journey through time, you watch some of the dinosaurs on stage while Huxley tells you about them as well as about the land during each period. The show is very true to what life would have been like and very natural (a dinosaur comes and eats a newly hatched baby dino) at the beginning of the show. 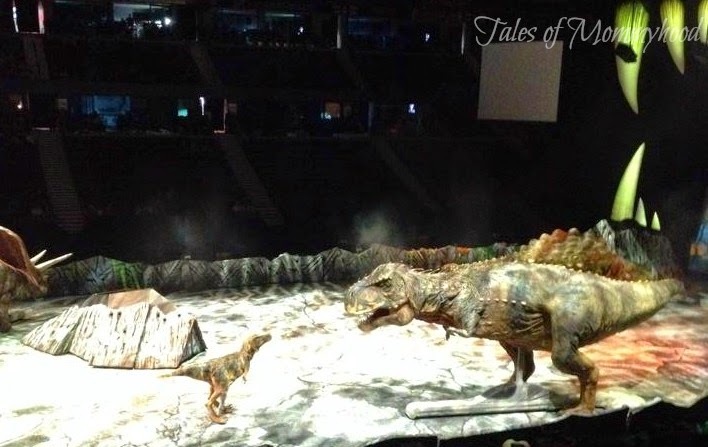 Later on, there is a dead dinosaur in the middle of the arena, and 3 raptors come for a feast. 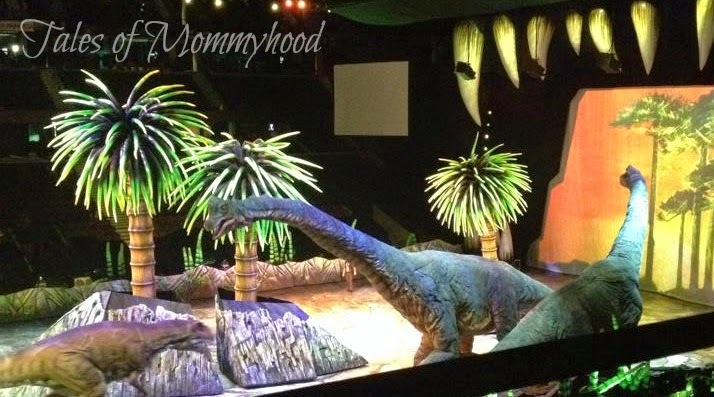 Even though the large T-Rex is on the stage and has quite a loud presence, it is complimented by baby-t's comedic "baby" roars - and had everyone laughing. 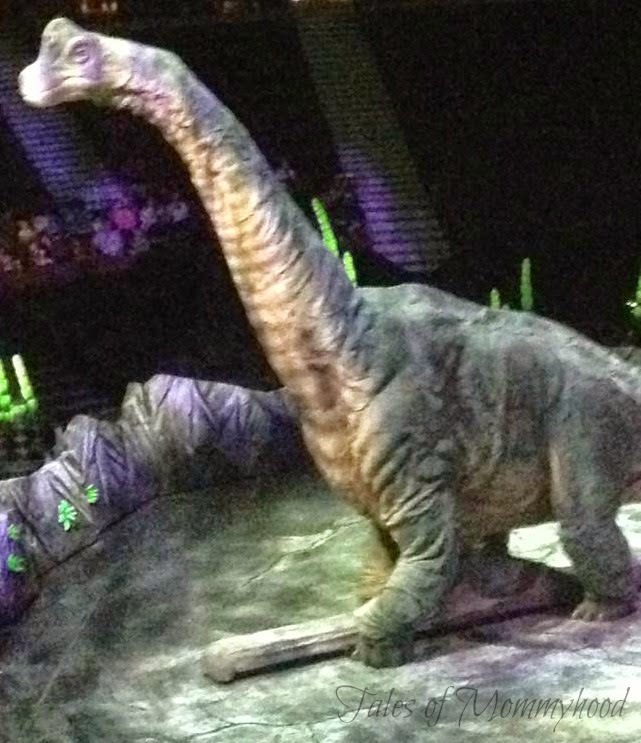 If you ever get the opportunity to see Walking With Dinosaurs - The Arena Spectacular, you should take it. It's such a neat experience, and we all enjoyed it. I'd love to take my grandkids to this when they are ea bit older. It looks like quite an experience! That is so cool! It's like the dinosaurs are walking amongst us again.